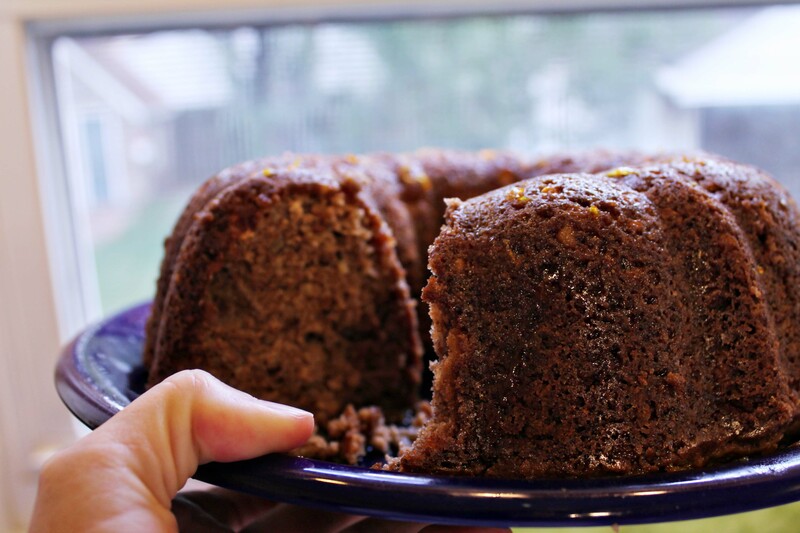 Last fall, I was still cooking my way through Ree Drummond’s cookbook. 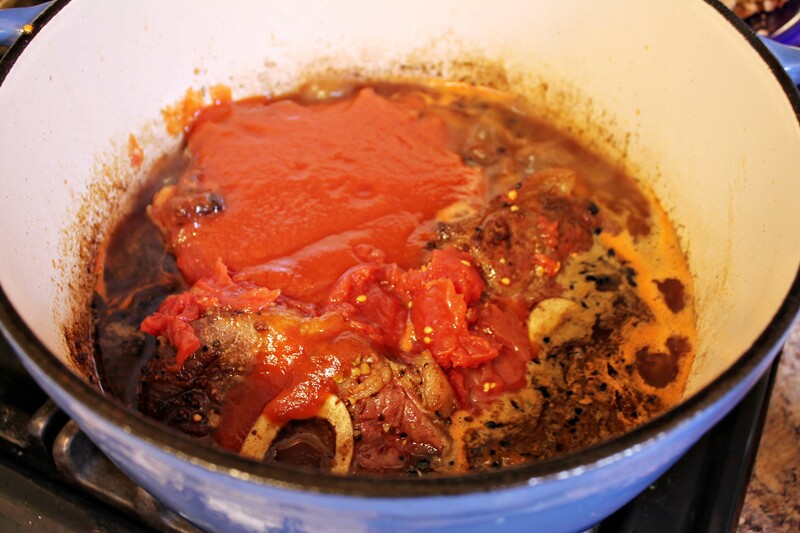 I had saved OSSO BUCCO (pg. 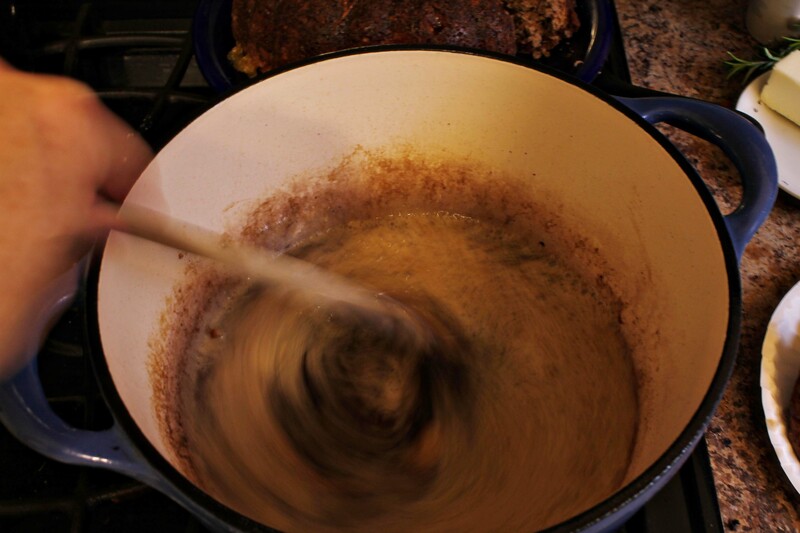 194) for one of the last recipes to cook, as it seemed like a more fall-ish, hearty dish. 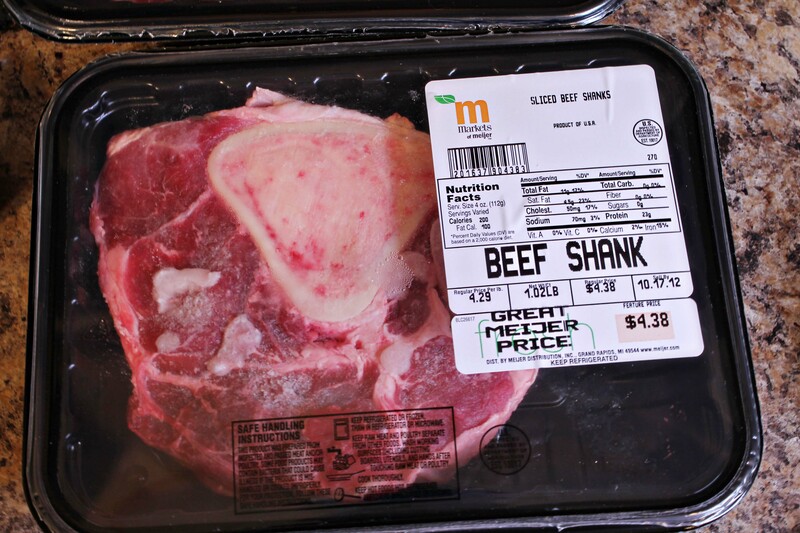 The specific “bone with a hole” is a beef (veal) shank that has been cross-cut. 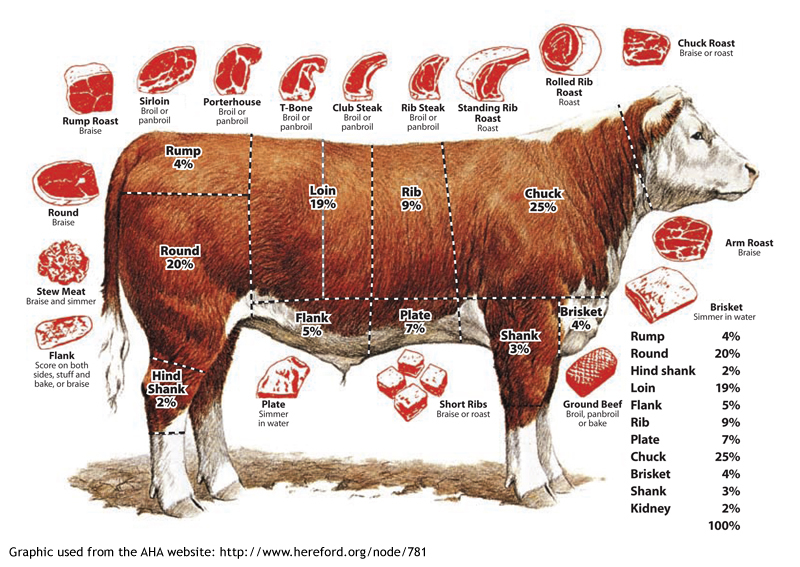 Here is a guide in case you have forgotten your beef cuts. The shank is the front leg of the cow. A beef shank is rather tough cut of meat, so it needs to cook for a long time. 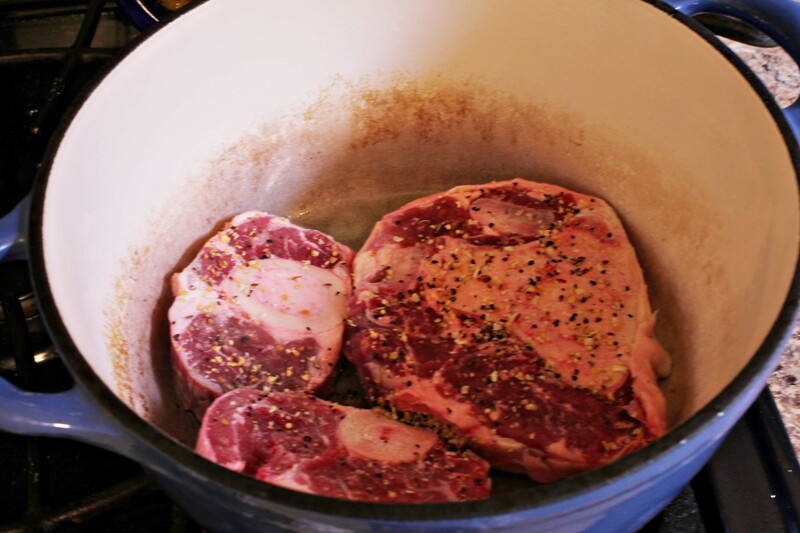 Start by braising the shanks in butter or olive oil. This gives the beef a good brown color, enhances flavor using a Maillard reaction, and helps seal in the moisture and flavor. Remove the shanks and add some garlic, then a bottle of beer. Let this cook for a few minutes, return the veal shanks to the pot. 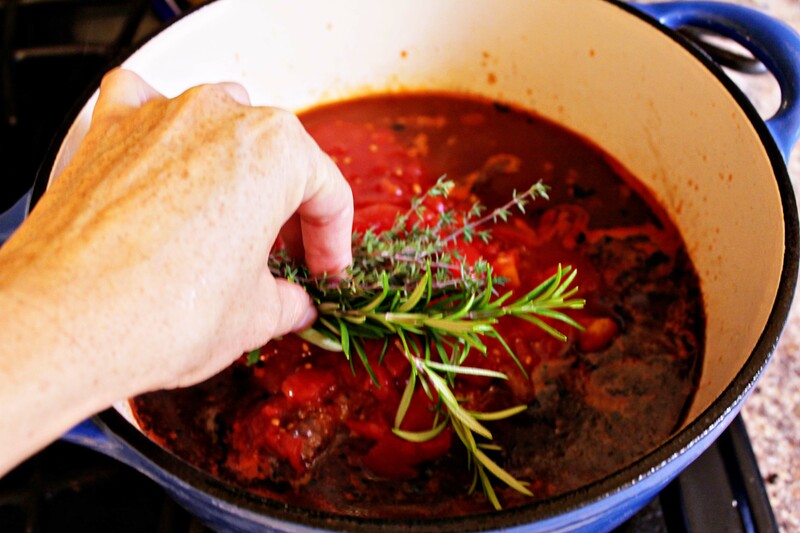 Now there are two versions of Osso Buco–one is the white version (original recipe with bay leaf, cinnamon, lemon zest, parsley, and garlic) and the more modern version that includes tomatoes. 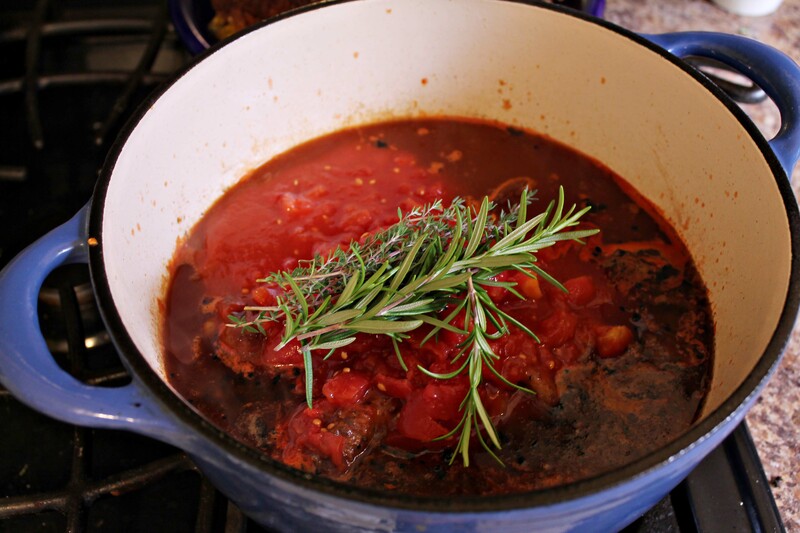 Ree Drummond cooks the red version in her cookbook, Food From My Frontier. I learned a trick to cutting up whole tomatoes from my old Betty Crocker cookbook. Just put your kitchen scissors right into the can and snip away. The result isn’t perfect, but the tomatoes usually cook long enough to cook down anyway. Pioneer Woman calls for one 28 oz. 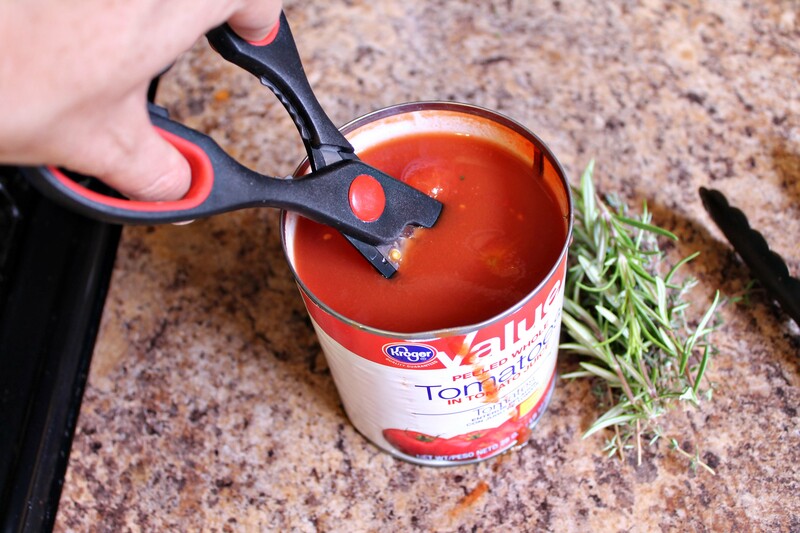 can of whole tomatoes. 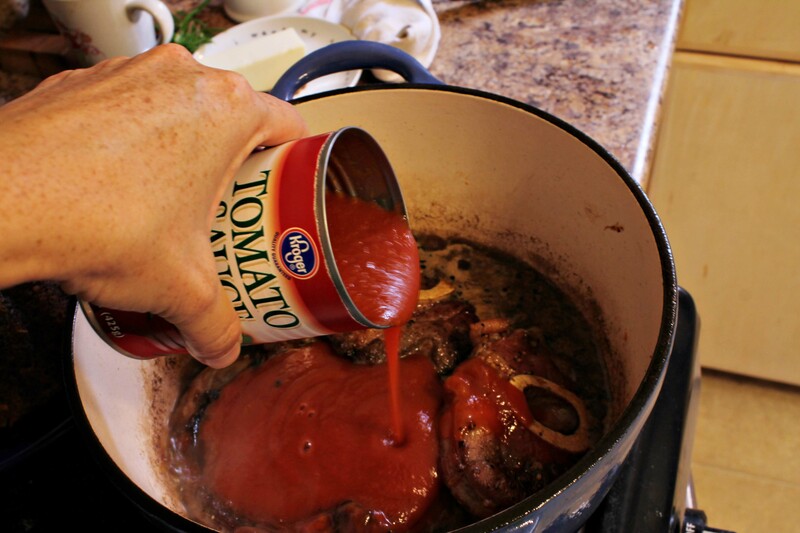 I used two smaller cans–one of whole tomatoes and one of tomato sauce. Now throw in the rosemary and thyme. 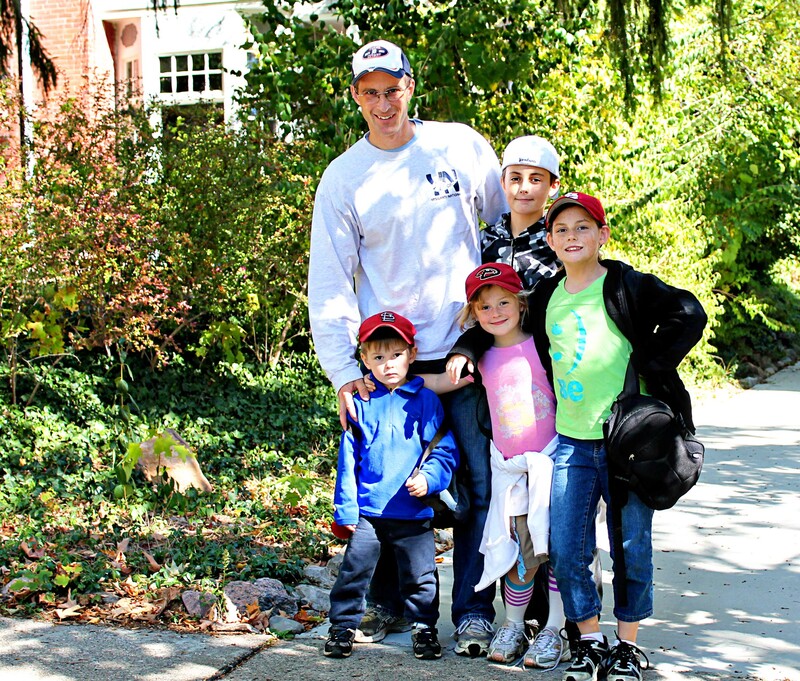 The beef really needs to cook for 3 – 4 hours, so we loaded the family into the van and headed out to our local arboretum. 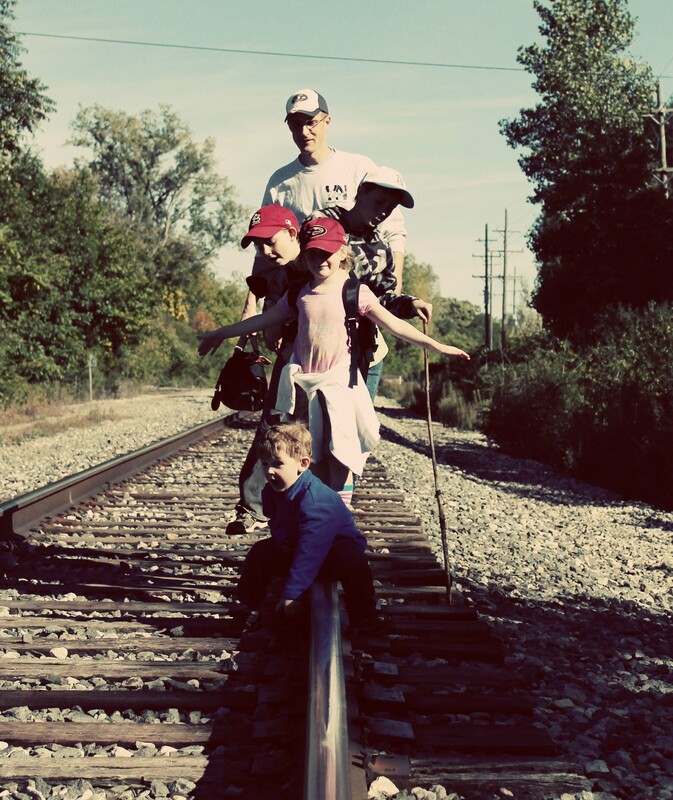 It was too early in October for fall colors, but the weather was perfect for a family hike. 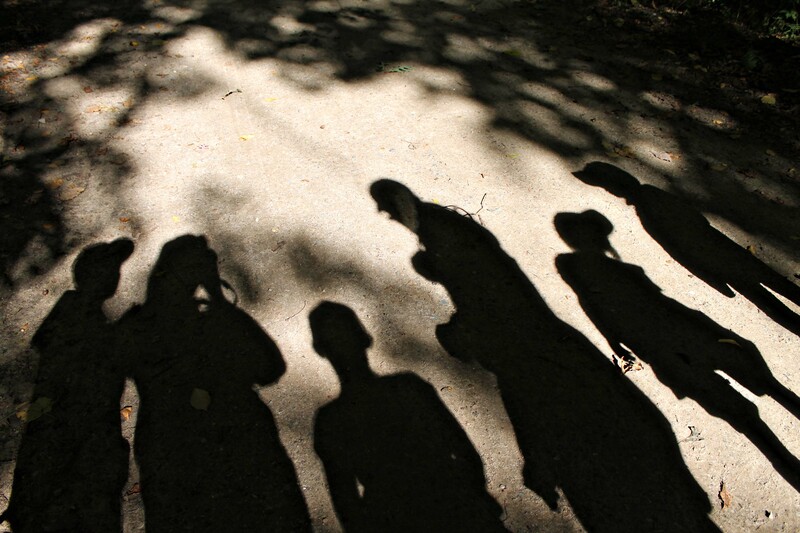 We stopped for a family silhouette photograph. 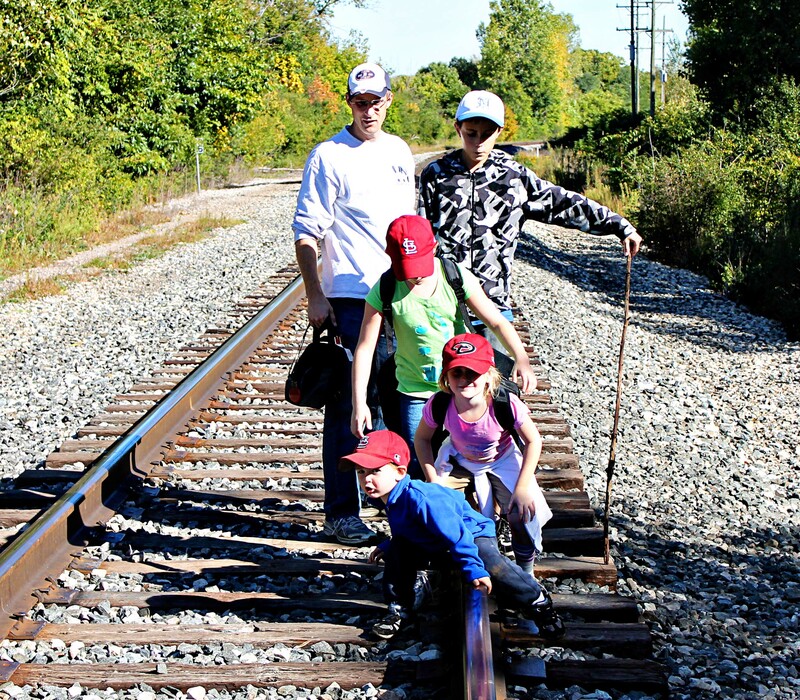 Our hiking trail crossed a railroad track, so we tried for yet another family photo. We threw rocks into the river, tromped across a bridge, and yelled at the kids who got close to the poison ivy along the trail. The Hunni and I walked along together as the kids ran down the trail. “Wouldn’t it be fun to have a gypsy life for a year and take the kids to all the National Parks in an R.V?” I said. We spent the rest of the hike dreaming about how we could R.V around the country with our kids for a year. I even went home and got on the computer and googled R.V’s for sale. BUT reality is that we have bills to pay and jobs to attend. Still. . . it would be fun. 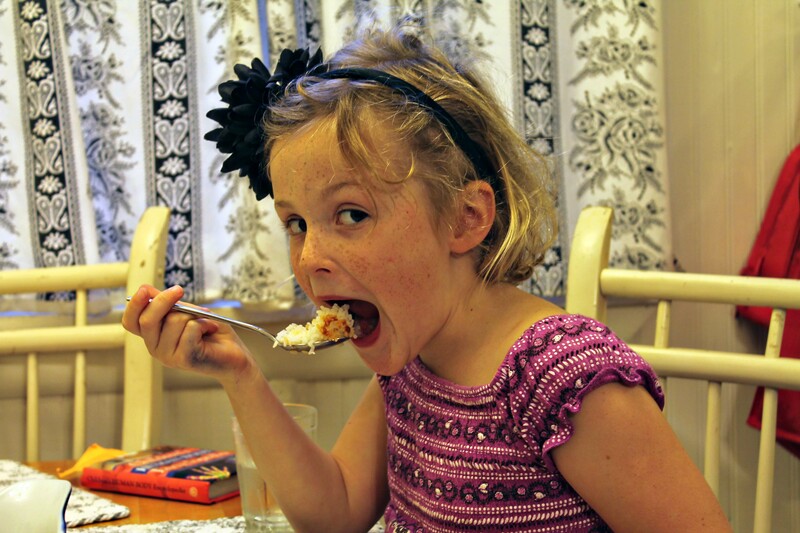 We returned home, and ate a few pieces of cake before supper. We were all hungry from our hike. 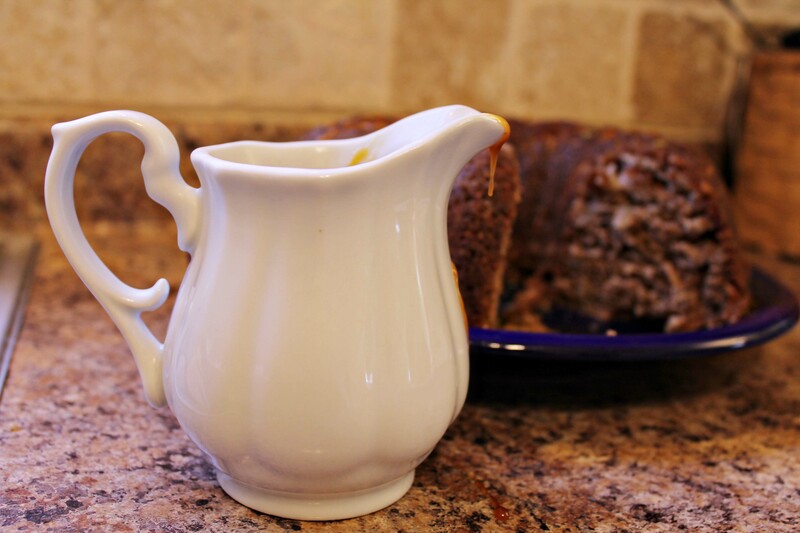 The cake is served with an Apple Cider Sauce that makes this already delicious cake even more wonderful. 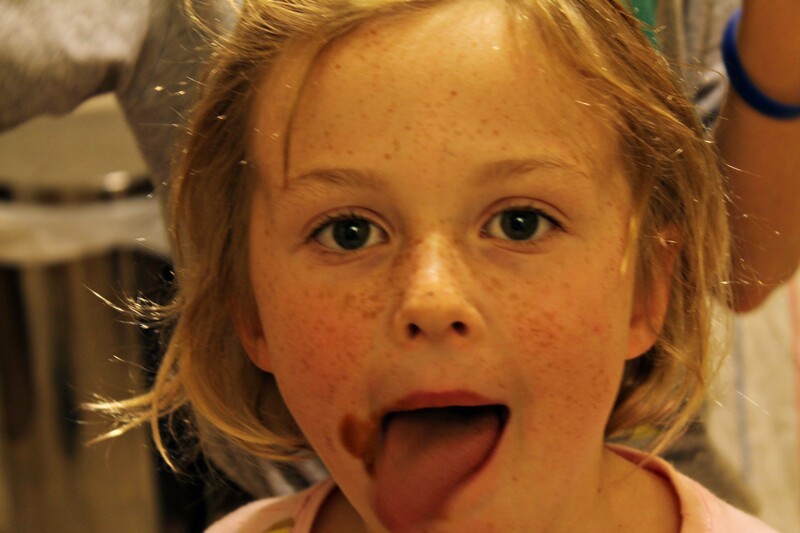 A pre-supper dessert sampled, we now need to get back to cooking supper. Mushrooms. My kiddos hate them. 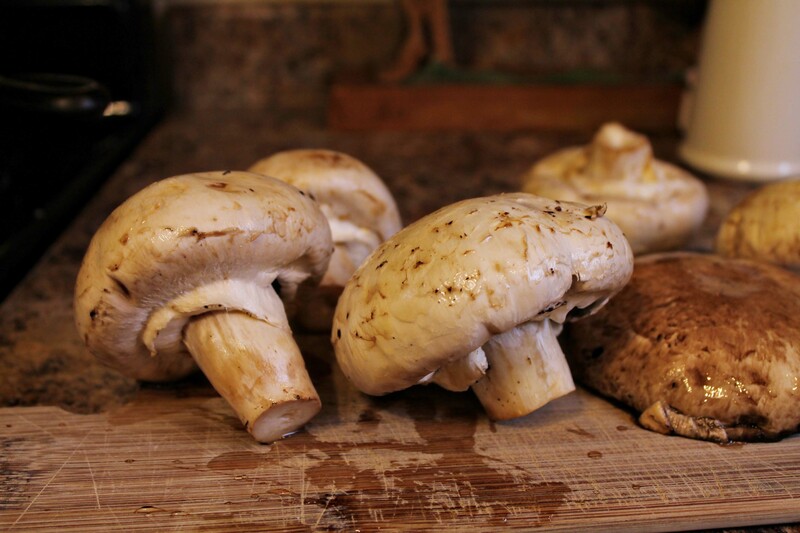 If they even SUSPECT I might have included mushrooms in a dish, they begin dissecting their meal in search of the offending fungi. 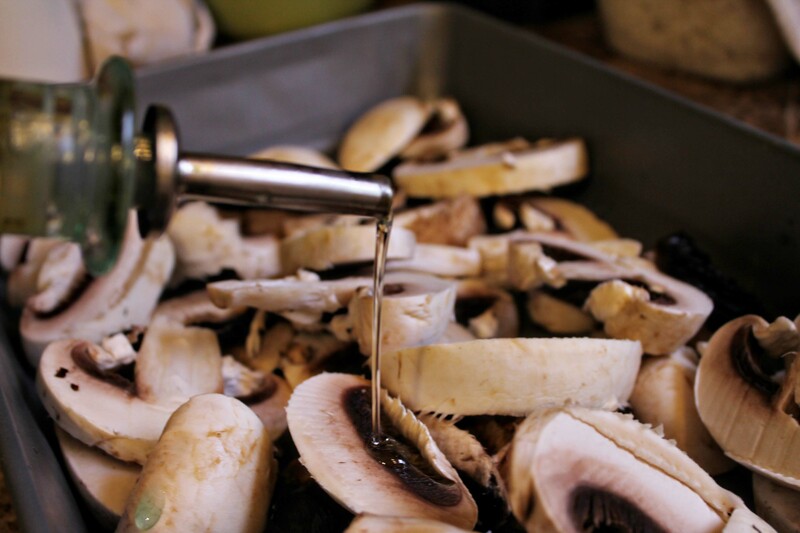 I love mushrooms–especially sautéed in butter. 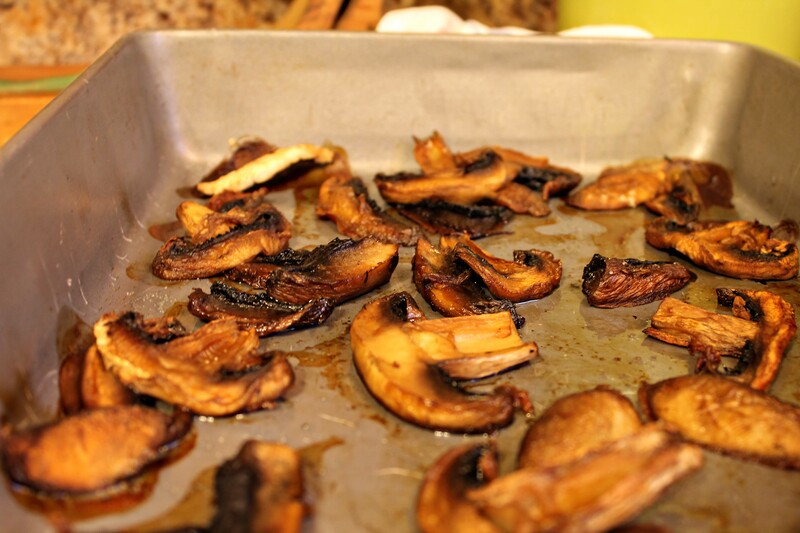 I had never roasted mushrooms, but I followed Ree Drummond’s directions of drizzling with olive oil and roasting at 425° F for 20 minutes or so. I snitched several as I finished up the meal. 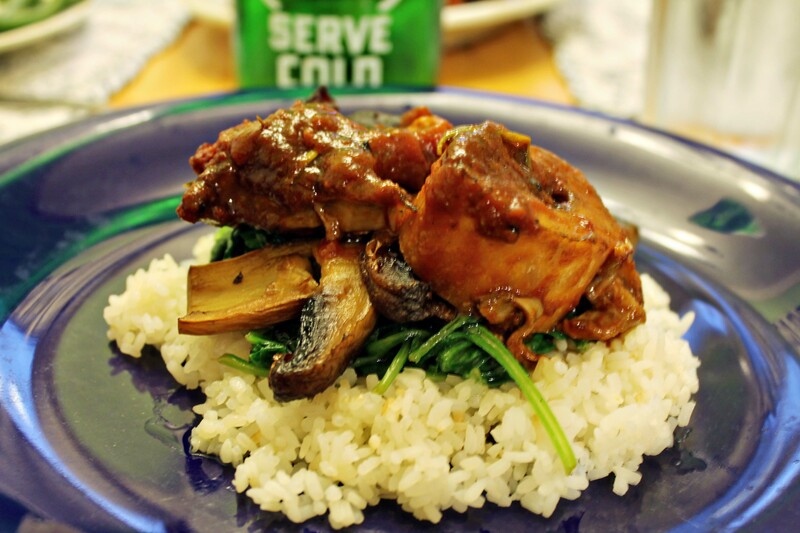 Ree served her Osso Buco over risotto and wilted spinach. It was my first time cooking risotto–rice cooked the Italian way with broth. (Here is a recipe link.) I can’t say my risotto was excellent. Something so easy like “rice” sounds impossible to mess up, but I did. I need more practice to get the starchy rice “creamy” instead of “gluey.” In fact, I made up some regular white rice as I knew my kiddos wouldn’t go for the gluey mess I made. 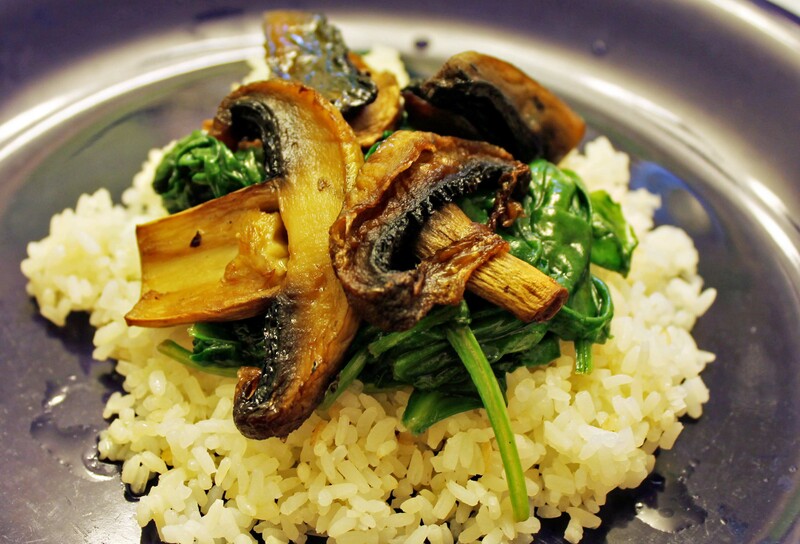 Load on the rice, then the wilted spinach, then the roasted mushrooms. . .
. . .and finally the Osso Buco. Serve to the hungry (and dirty) hikers. Even with the pre-supper dessert, they still were hungry. 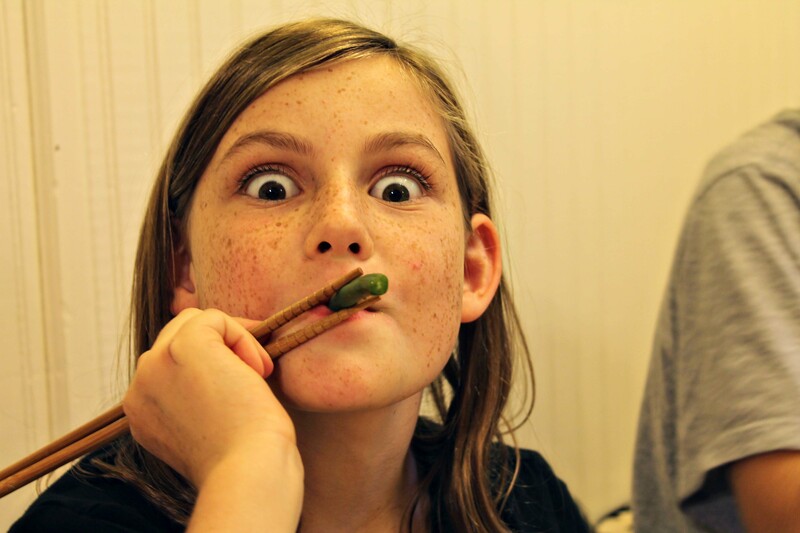 I can’t remember why Scout thought she needed to eat supper with chop sticks–especially since this was an Italian meal, but here she is. And since we had already had Chunky Apple Walnut Cake (minus the walnuts) with Apple Cider Glaze before our meal, we made caramel apples after our meal. 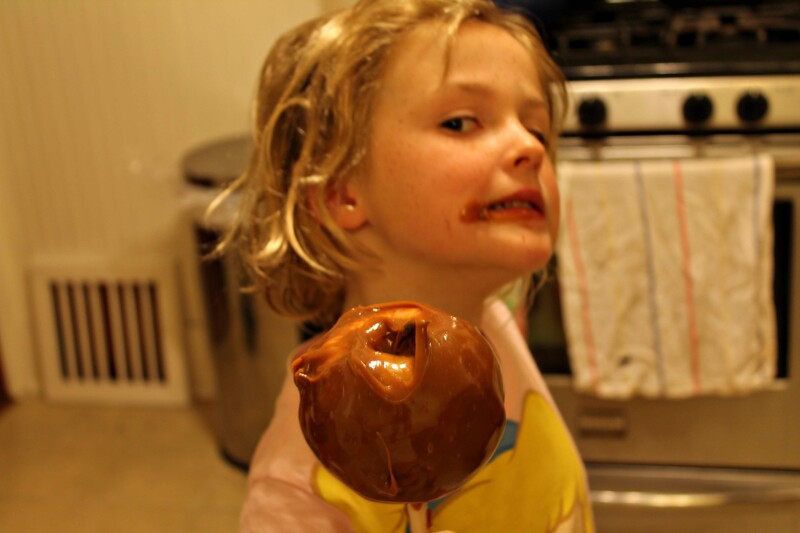 Two kiddos began Apple Dueling, but this Mommi quickly put a stop to that sport. Here is Scout with her caramel apple. 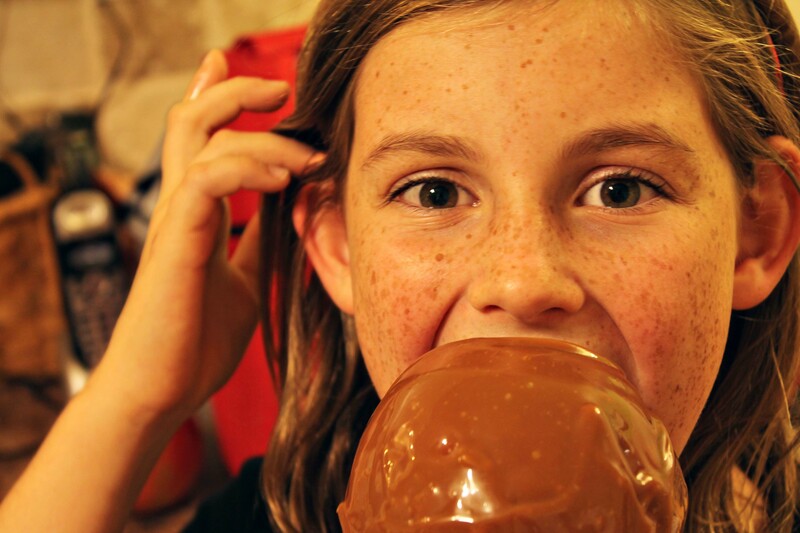 Exactly how do you eat a caramel apple without it getting all over your face, anyway? Eloise doesn’t know. . .nor does she mind. And now a random piece of information. A long time ago in a post, I mentioned growing green onions in a jar. 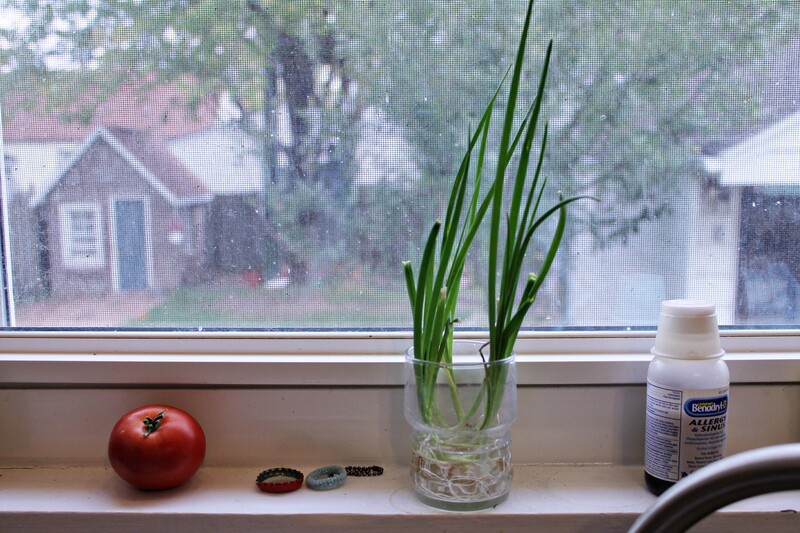 Here you can see some green onions that I chopped for a recipe. I saved the bottom part and put them in a glass cup on my window sill. 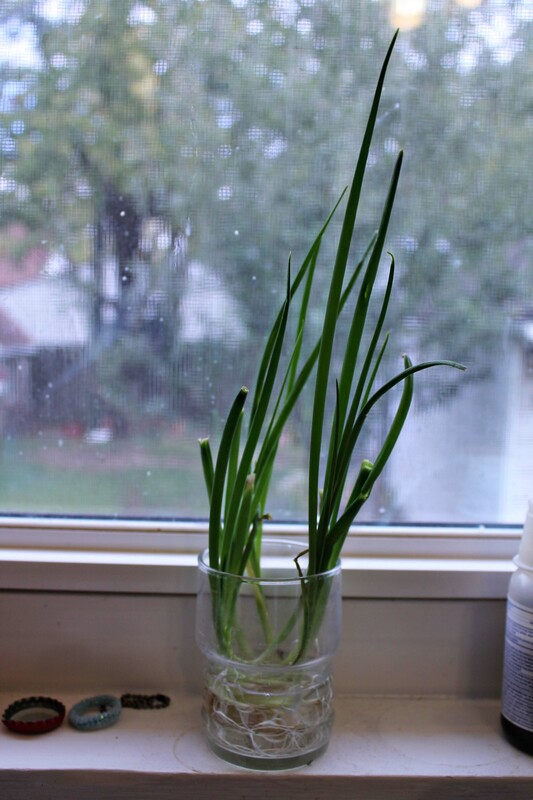 I changed the water whenever I thought of it, and about a week later, I had more green onions to use. I kept cutting and growing and using these onions for several weeks. 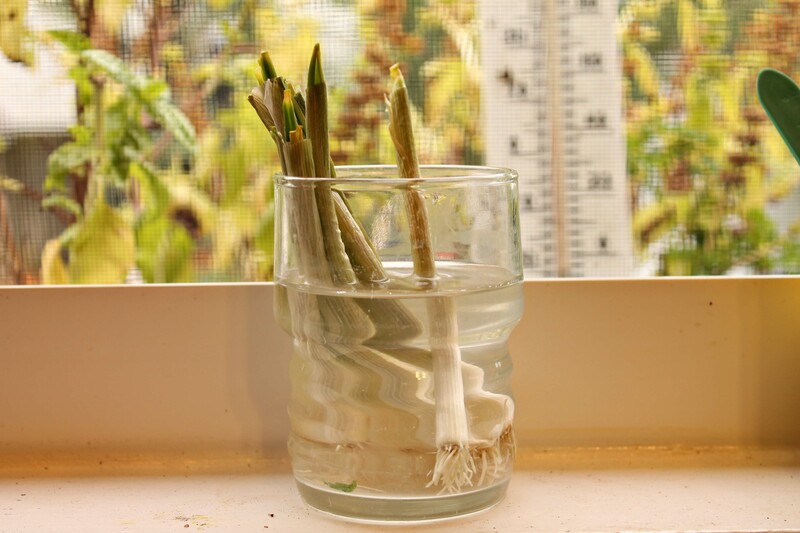 I probably could still be using the same onion roots, but I went on a crazy “Clear the Clutter Rampage” one winter day, and they got tossed. I only have a one more recipe to go until I have blogged all of Ree Drummond’s Food from my Frontier cookbook. Thanks for coming along with me. 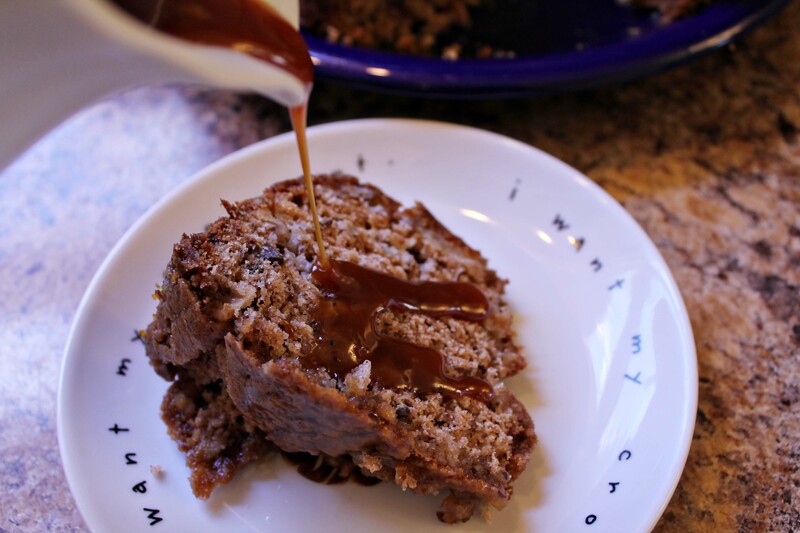 This entry was posted in Recipes and tagged apple cider glaze, chunky apple walnut cake, fall foods, growing green onions in a jar, silver palate cookbook. Bookmark the permalink. Yay! My first official Whit’s End!! I love it and will look very much forward to a continued post! ( Jennifer Buchanan’s mom, Christa Cherry). Still remember how you thought ( Christian Laetner was cute, and rooted for him over the University of Ky ). ( at our house! ) . : ) And the cold, frigid weather you encountered during Spring Break that year with Jennifer and others. Love you, Rebecca, and love your posts and keep them coming! I too remember both of those times! I have great memories of both!! Thanks so much for letting us stay in your house. And btw. your Laurel is adorable! Yes! I love the green onion regrowing trick. Glad that my window sill looks like yours with a collection of similar objects! Oh sigh! My window sill is a collection of Lego pieces, small change, broken toys waiting to be fixed, last used medicine (spring = Claratin, winter = cold medicines), an occasional bouquet of weeds and flowers from the backyard, a few “special” rocks, etc. . . I love Osso Bucco! And, I’m going to try that green onion thing. I think it would taste fine with just the tomatoes and herbs (no beer). Any plans of coming to Michigan this summer? 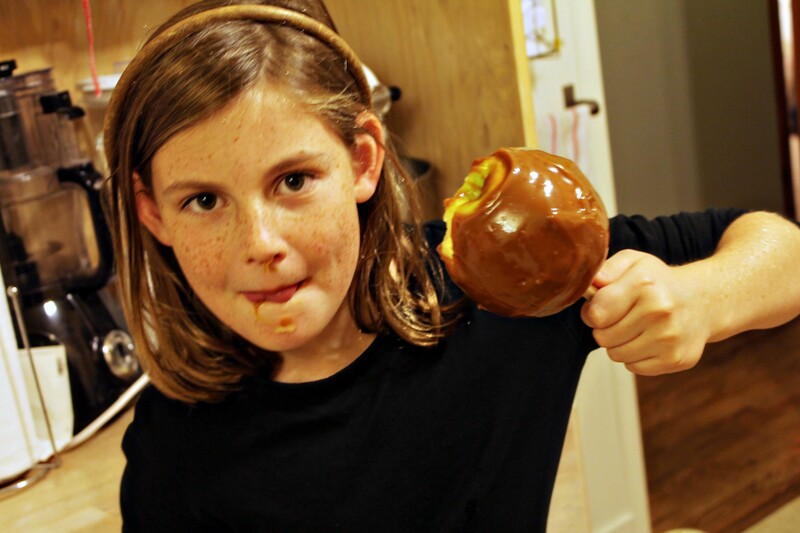 Those caramel apples look seriously messy. 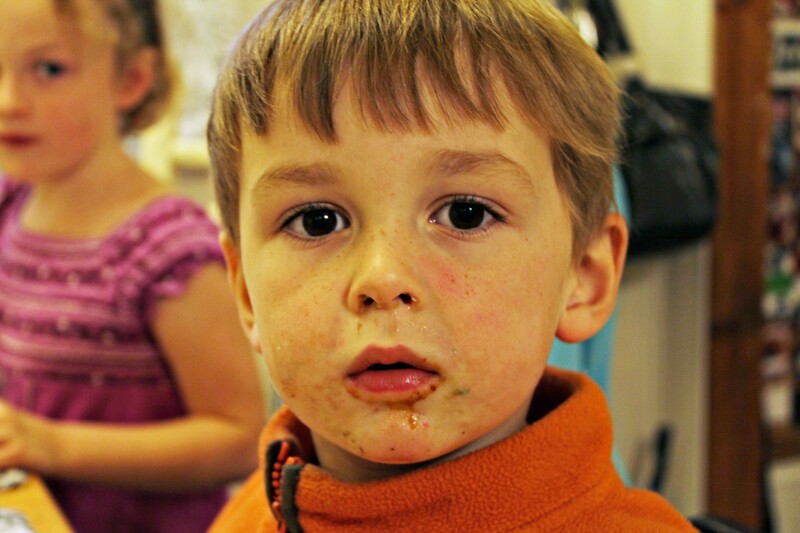 And i love the photo of your son covered in food – it reminds me of someone – oh yes my youngest!